Venus will reach its greatest separation from the Sun in its 2019–2020 evening apparition. It will be shining brightly at mag -4.4. From Fairfield , this apparition will be well placed and prominent, reaching a peak altitude of 44° above the horizon at sunset on 20 Mar 2020. 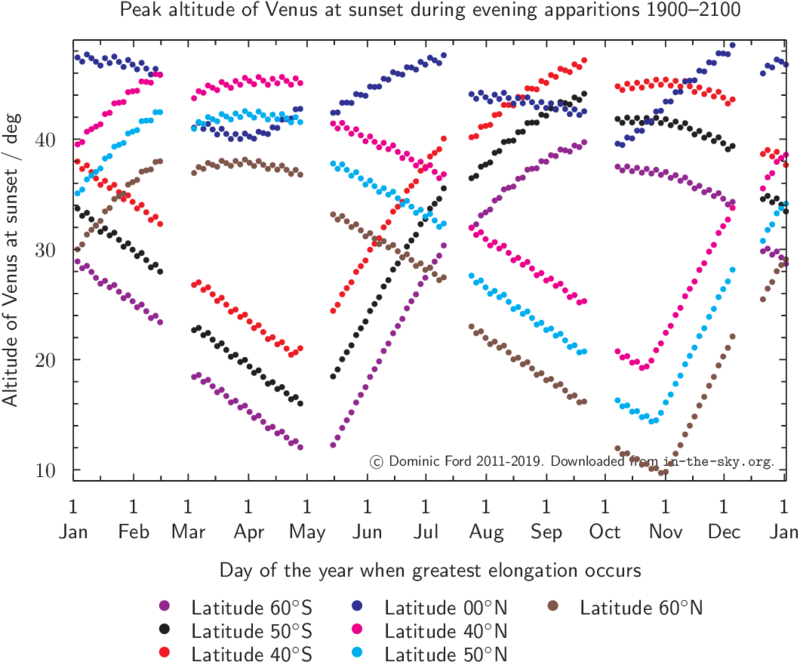 The table below lists how high above the horizon Venus will appear at sunset over the course of the apparition. All times are given in Fairfield local time. At each apparition, Venus reaches a maximum separation from the Sun of around 48°. However, some times of the year are more favourable for viewing Venus than others. From Fairfield, it reaches a peak altitude of between 18° and 45° above the horizon at sunset during each evening apparition, depending on the time of year. During its 2019–2020 apparition, it will peak at 44° above the horizon at sunset on 20 Mar 2020. 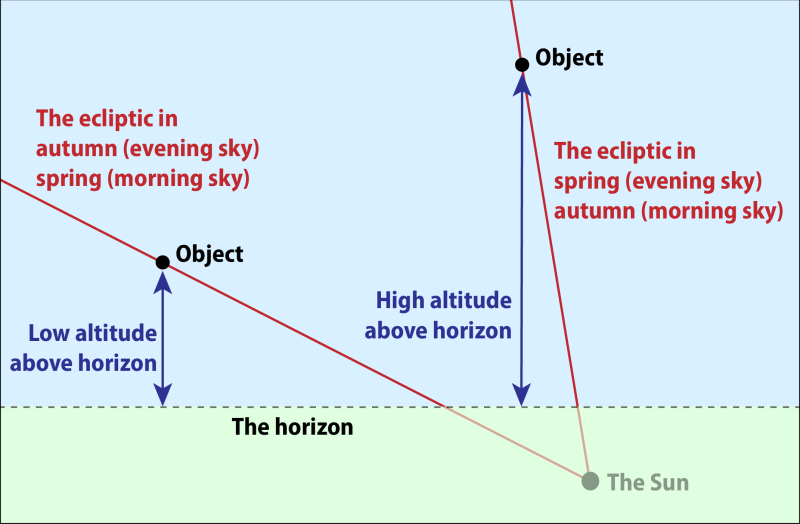 The inclination of the ecliptic plane to the horizon at Fairfield varies between 72° (sunset at the spring equinox) and 25° (sunset at the autumn equinox). On March 24, the ecliptic is inclined at 72° to the western sunset horizon, as shown by the yellow line in the planetarium above, meaning that this apparition of Venus will be well placed and prominent, reaching a peak altitude of 44° above the horizon at sunset. Venus 03h06m00s +20°35' Aries -4.4 23.4"
Sun 00h14m +01°31' Pisces -26.7 32'04"